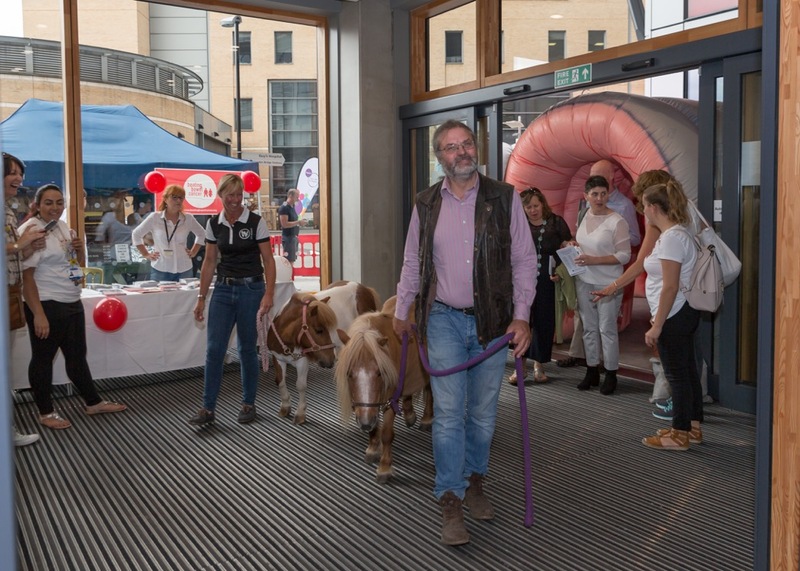 Two Blue Cross Shetland ponies, who are now working as therapy animals, trotted their way into Guy’s Cancer Centre to help celebrate Cancer Survivors’ Day on 25 June 2017 – an annual event run by Guy’s and St Thomas’ NHS Foundation Trust. 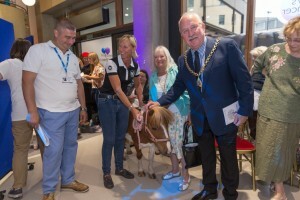 The equines Dame Maggie and Princess Rose, who are a mother and daughter pair, are on loan from the Blue Cross rehoming centre in Burford, Oxfordshire. They were handed over to the centre after their original owner could no longer look after them.